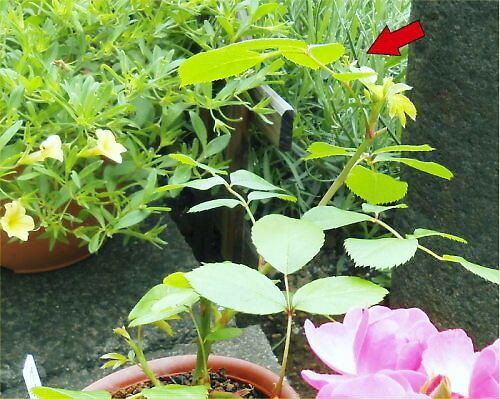 カマキリの子どもを発見！ A mantis-baby was on a leaf! 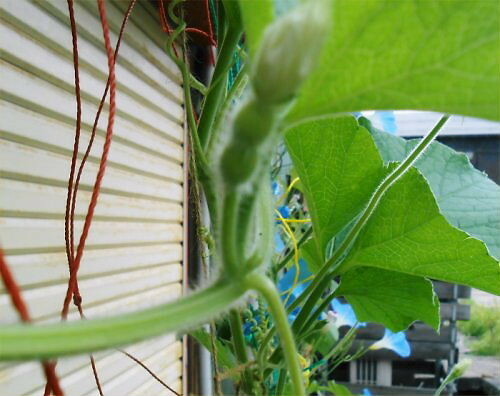 The vines of Sennari-hyoutan: thousands of gourds and morning glories are already reaching up to the window of LL office. 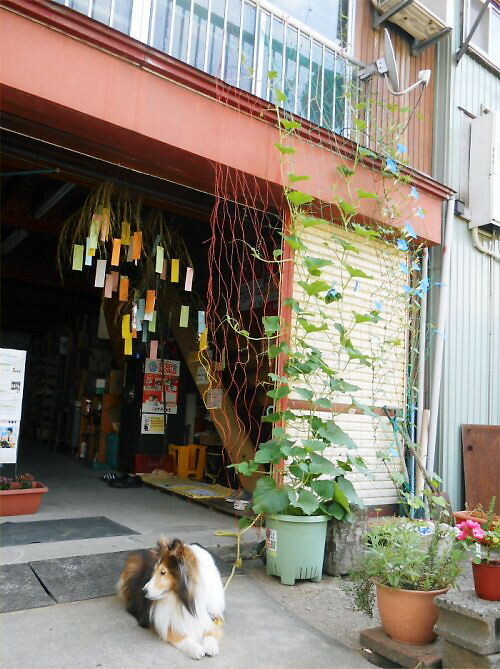 In the morning of June 26th, a shape of the gourd appeared first this year. 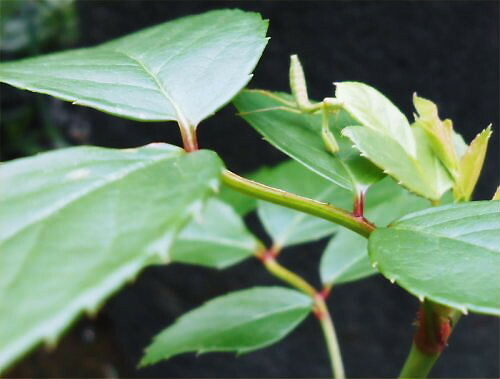 And then, R found “a cute baby of mantis” on a leaf of the rose called Angela. It was only about 3mm long. 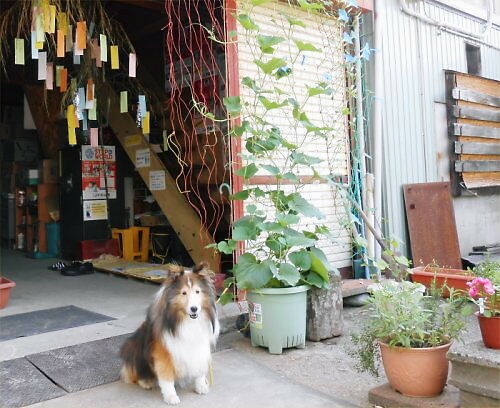 In the evening on the same day, at the time of 7:00 when the lesson of PS class of LL Shihoya Arai School was over; Yoshy and the students were excitedly looking for it, but we couldn’t find it. 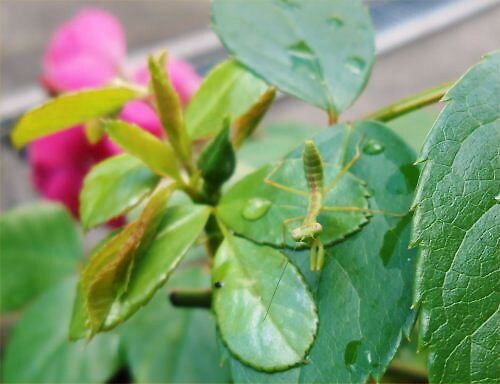 A girl students, A asked Yoshy to upload “the baby of mantis”. 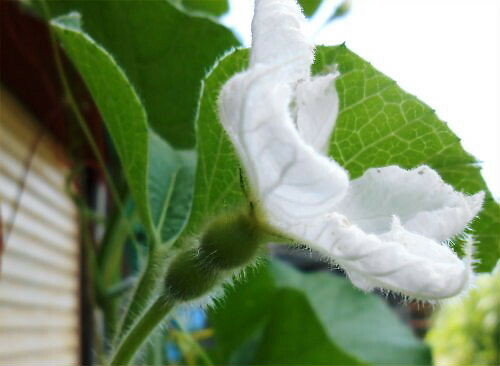 Next morning, June 27th… It was on the same leaf! It became bigger, around 5mm long! I wish it would stay on the leaf of Angela until it grows adult! “Mantis” is a seasonal word of autumn in the world of Haiku-poem, I heard.